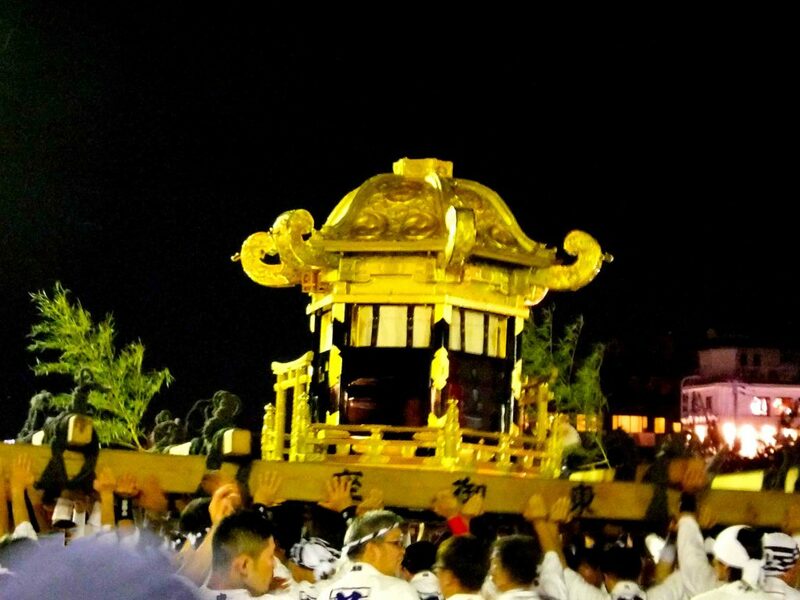 Originally, however, Gion Matsuri used to be a festival of mikoshi portable shrines, so first I went to see Mikoshi-arai (mikoshi purification) on the 10th. 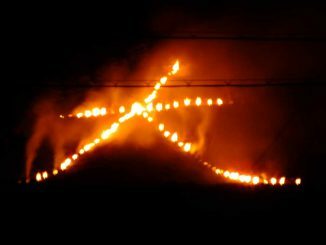 Omukae-chochin (a lantern parade to welcome the mikoshi) started at 4:30 p.m. 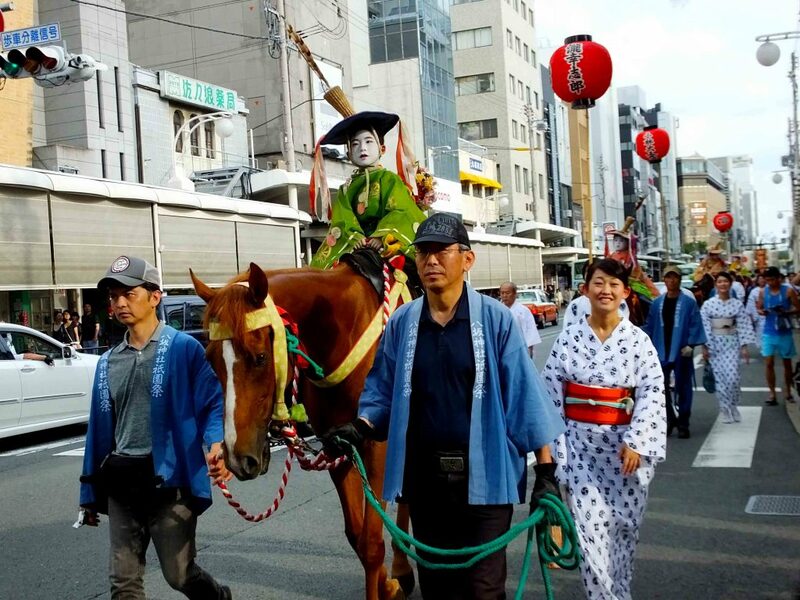 I saw the parade on Kawaramachi Street. 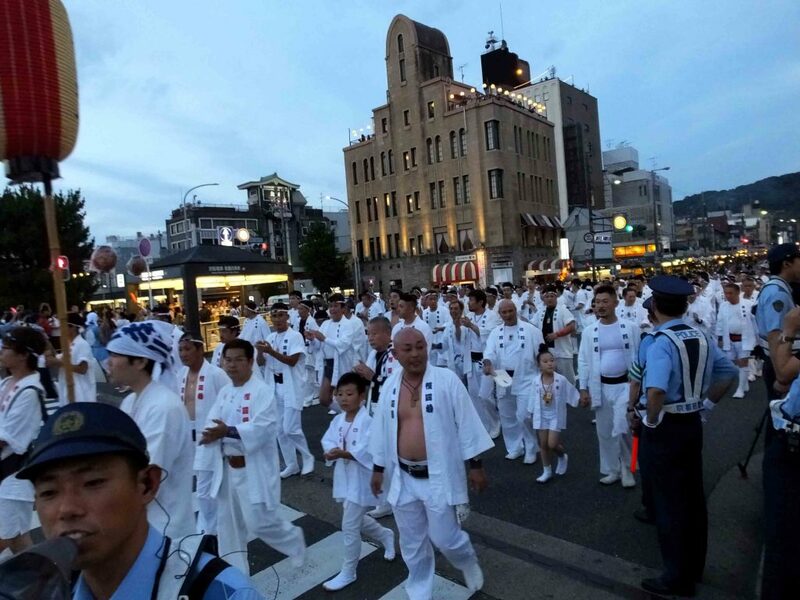 Around 6:30 p.m, I was on Shijo Ohashi Bridge, where Mikoshi-arai (mikoshi purification) takes place. 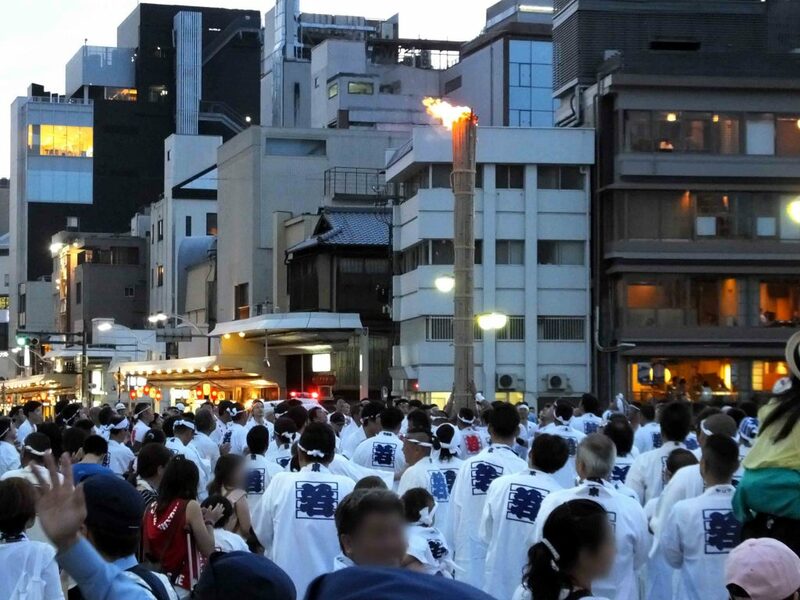 The mikoshi is supposed to come around 8:30 p.m, and already there were many people waiting for it. However, the police came and said no one was allowed to stay on the bridge. Reluctantly, I moved to a nearby place and waited. 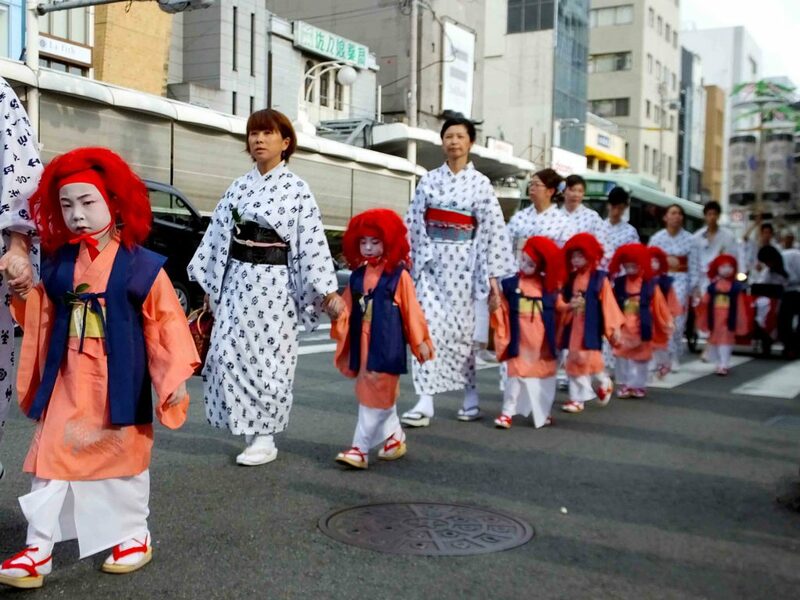 After a while, Omukae-chochin parade, which I’ve seen on Kawaramachi Street, arrived at the bridge. Being welcomed by the parade, numerous men in charge of the mikoshi gathered on the bridge. Some of them came with their children. A torch was stood. It was so crowded on the bridge! 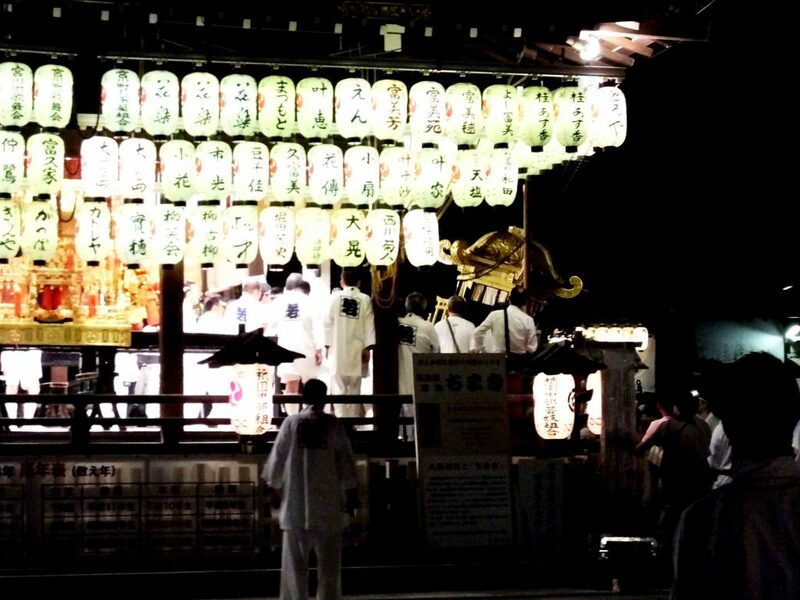 Night fell, and the mikoshi came on the bridge. 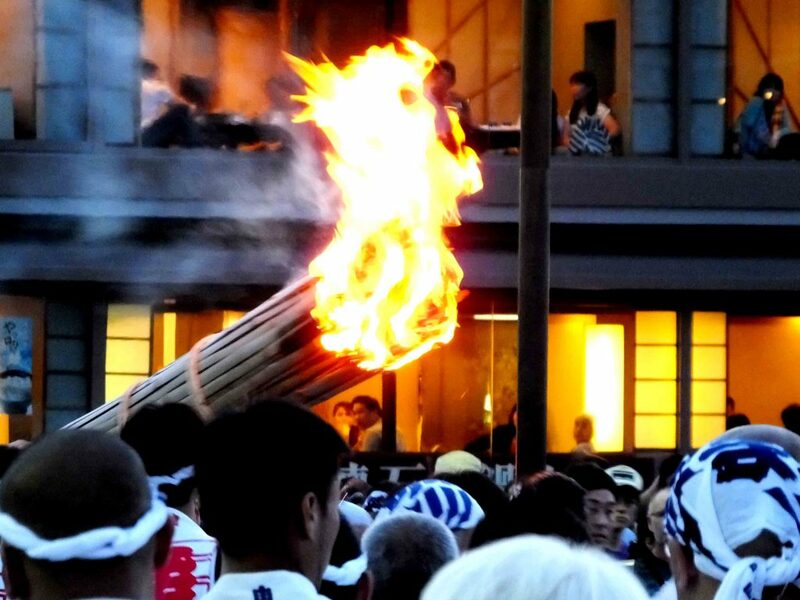 Many men were carrying the heavy mikoshi, shouting “Hoitto! Hoitto!” to work together effectively. The mikoshi moved up and down for a while, and then stopped. 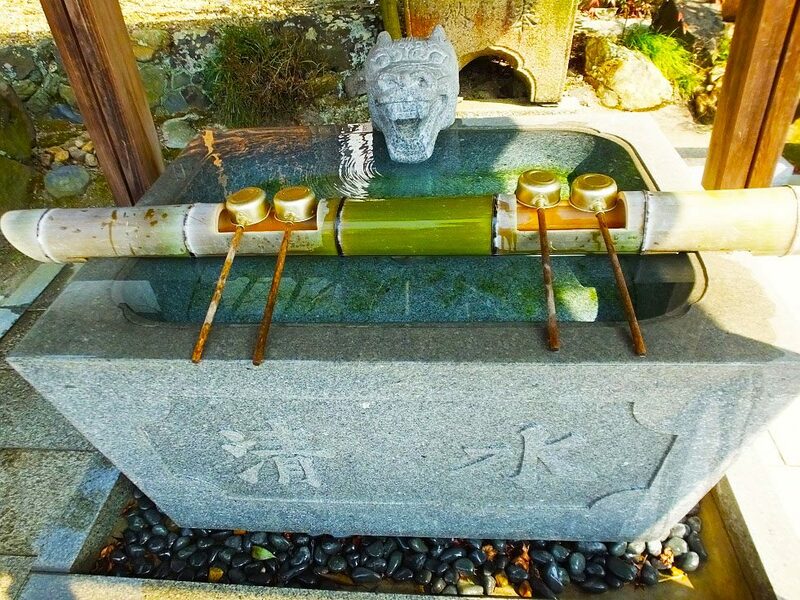 It was purified by water of Kamo River. 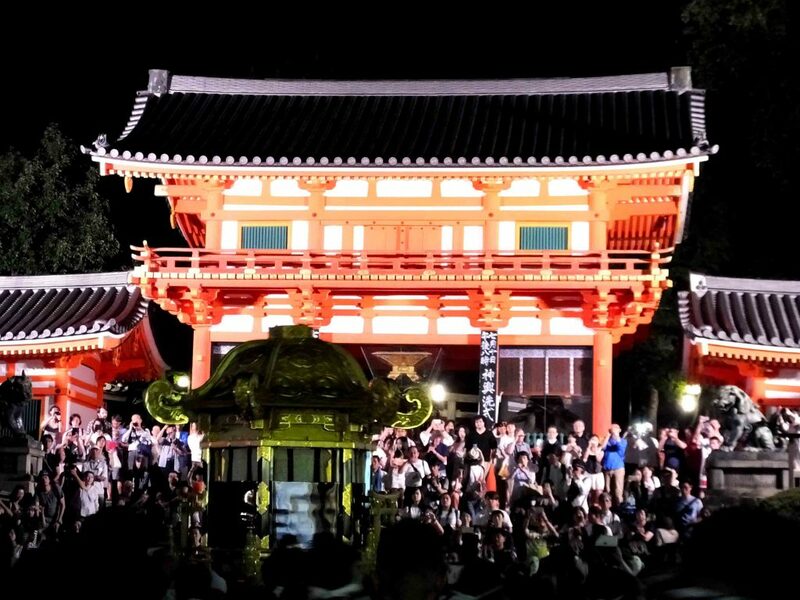 After that, the mikoshi went to Yasaka Shrine, where many people were waiting to take photos. It was carried back into the shrine. Though I thought everything was over, something happened after that. 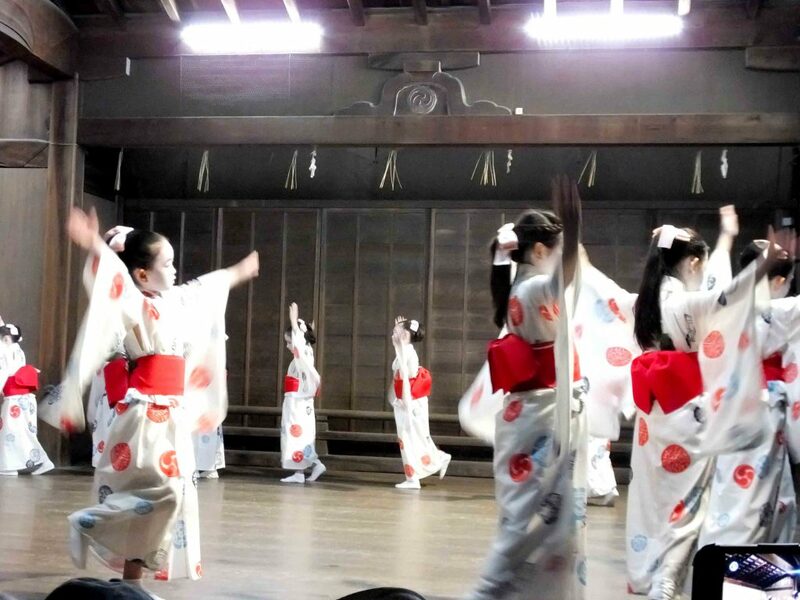 After the stirring ritual, there were children’s dances. 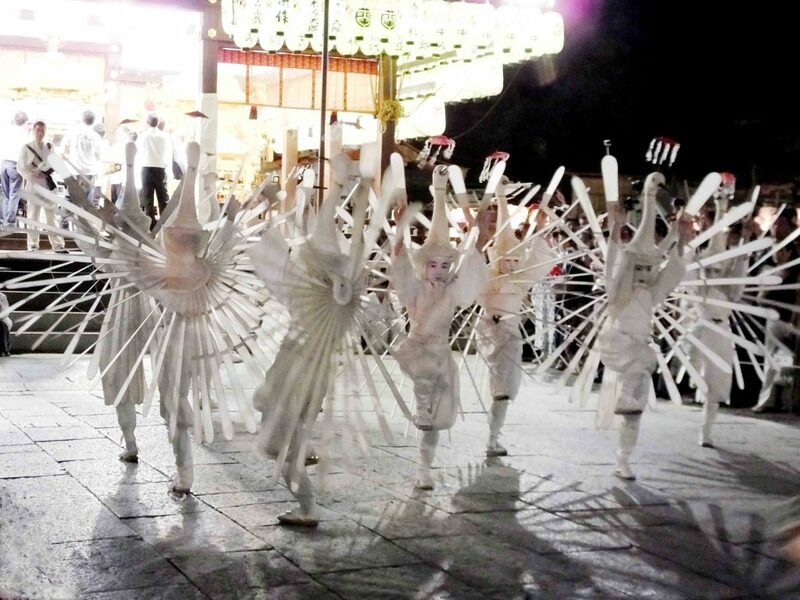 First, children in white costumes of egrets danced really well. How pretty! Then, older children danced on the stage. They were beautiful, just like adults. 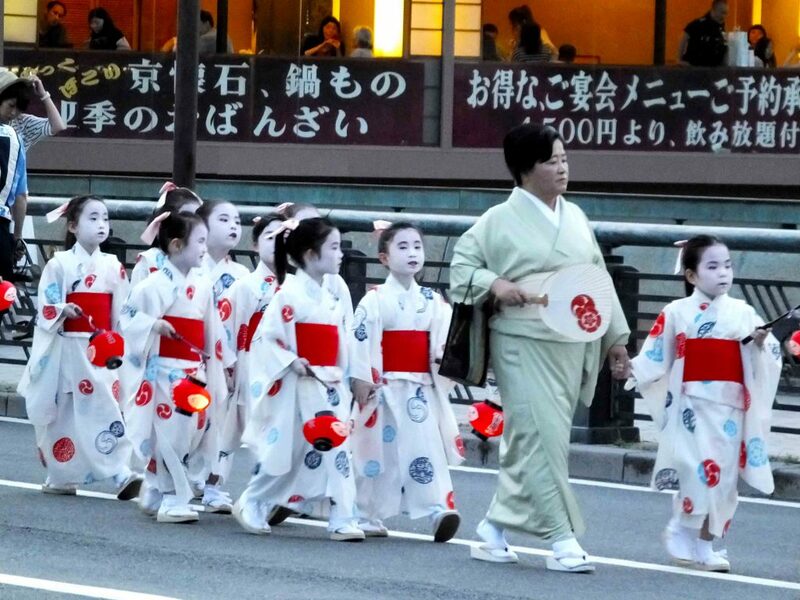 Finally, Children in yukata (casual kimono for summer) were making big movements. They were also really cute! The quality of their dances was incredible, especially the first one. I heard children needed to go to school the next day. I hoped they were not so tired and would get up early the next morning. 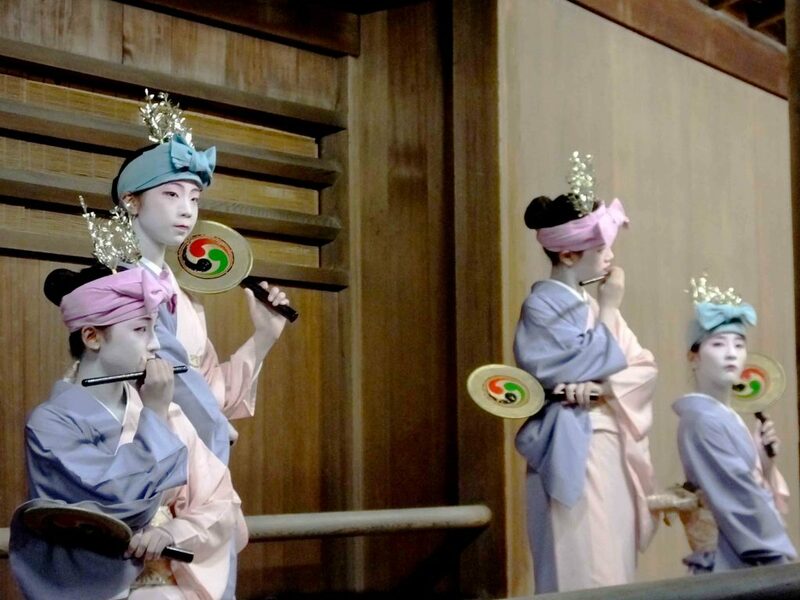 Look at the gorgeous mikoshi! 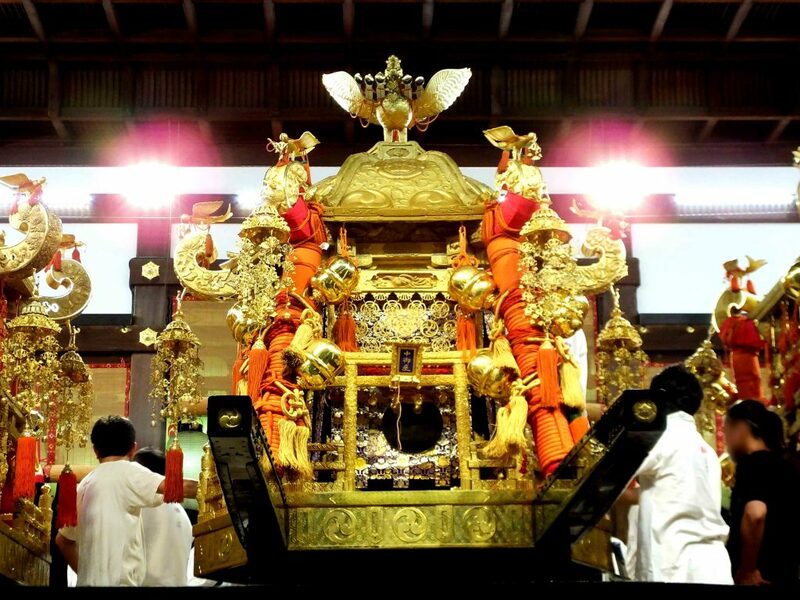 Soon after coming back to the shrine, the mikoshi was put between two other mikoshi, and decorated beautifully. Now it looks almost the same as usual, with the phoenix on it. 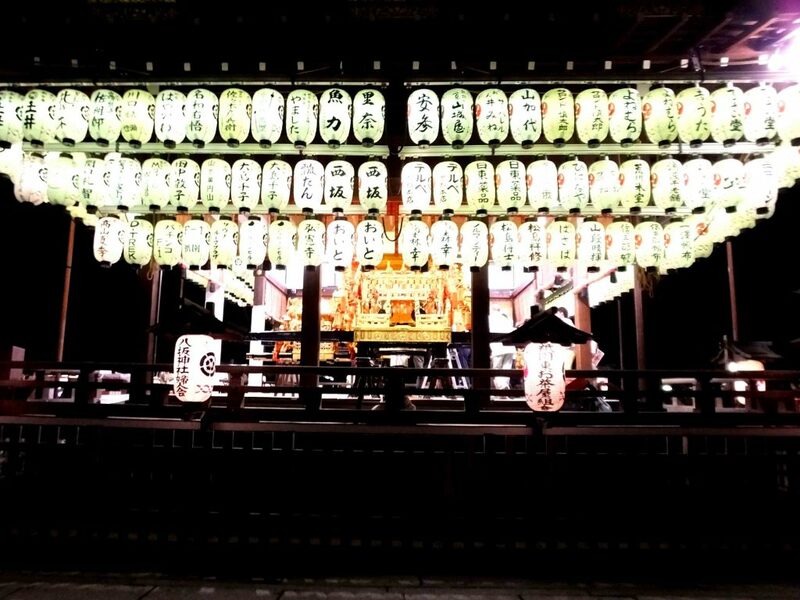 Many chōchin lanterns around the mikoshi created a magical atmosphere. Though I’ve been to Gion Matsuri and even been in charge of the festival many times, it was my first time to see Mikoshi-arai. It’s a lot of fun to know different aspects! 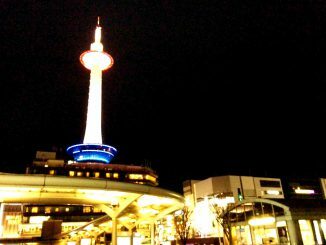 Various people work together for this big festival, which is very attractive to me.